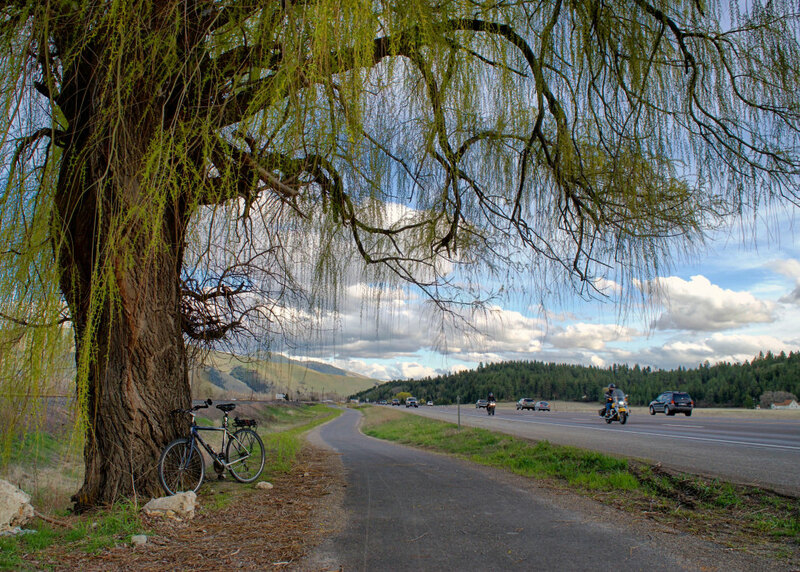 It used to be that cyclists in Montana that wanted to get from Missoula to the scenic Bitterroot Valley either strapped their bikes to their cars or braved what is sometimes described as one of the most dangerous stretches of road in the country. 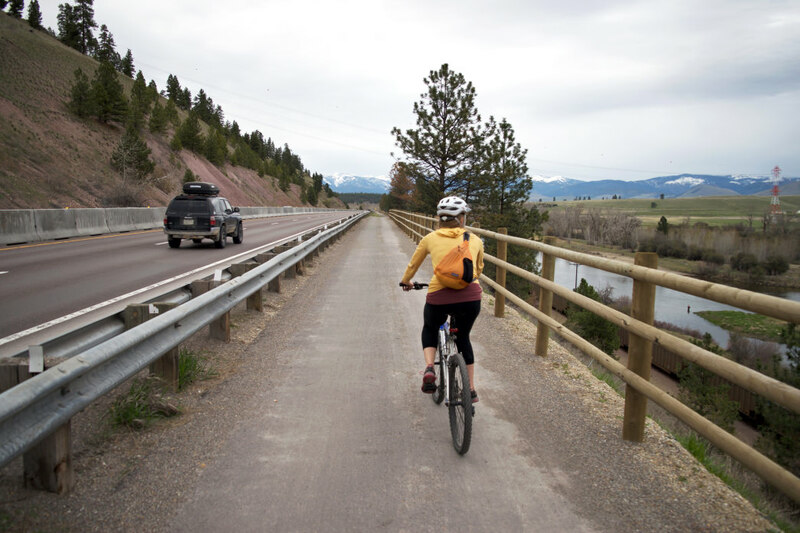 Now, thanks to a $4.58 million grant, anyone on non-motorized wheels, feet, or horseback can traverse the Lolo Grade safely. The new eight-mile trail takes cyclists off U.S. Route 93, with its narrow shoulders and 70 mile per hour speed limit, onto a bike path that runs alongside the highway. 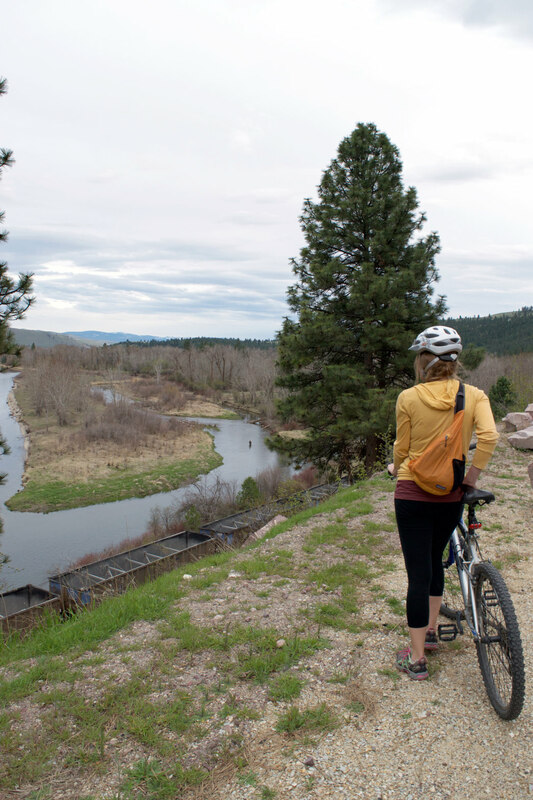 The trail opens up a spectacular 50-mile swath of countryside that can be traversed in a day or broken up into chunks to take advantage of the region’s famed fishing, hunting, rafting, and hiking. And it benefits cyclists worldwide. 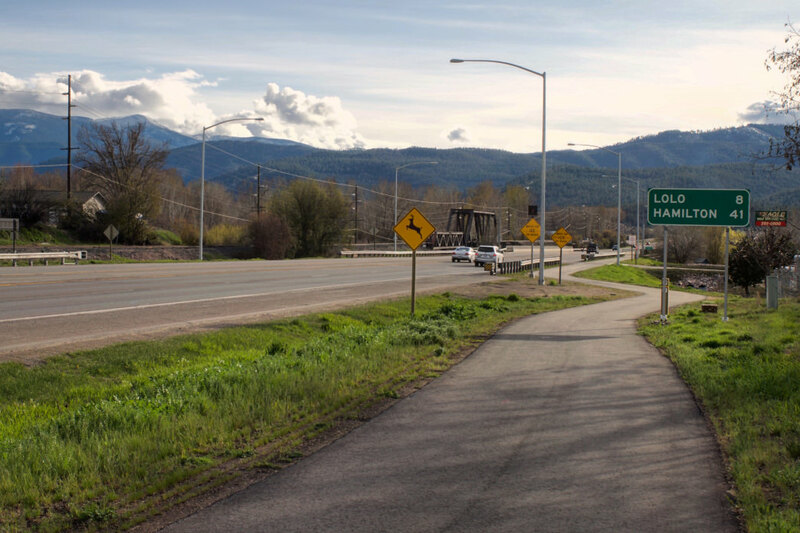 In addition to being a means for locals and tourists to get around, the new trail is part of the Adventure Cycling Association’s TransAmerica Trail that covers more than 4,200 miles from Astoria, Oregon, to Yorktown, Virginia. 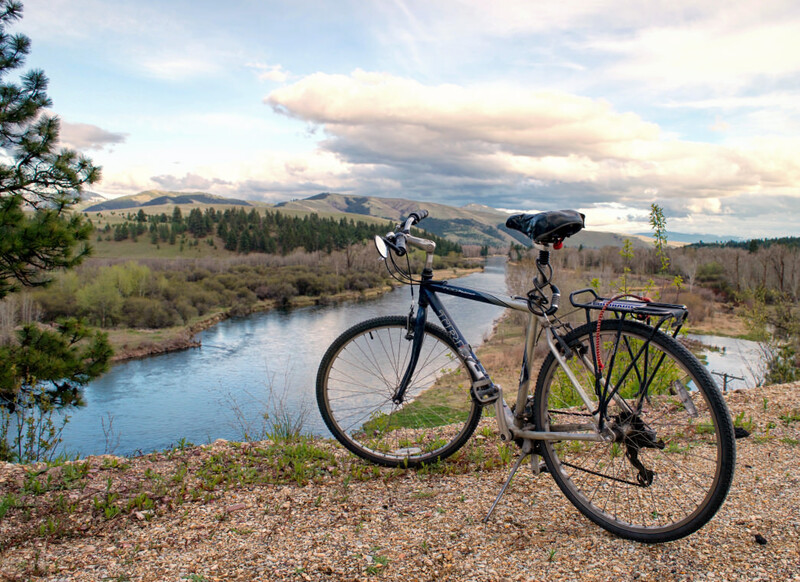 It also provides access to the Lewis and Clark Trail and the Great Parks Trail. Adventure Cycling staffers greeted the construction of the new trail with pleasure—and, perhaps, a sense of relief. 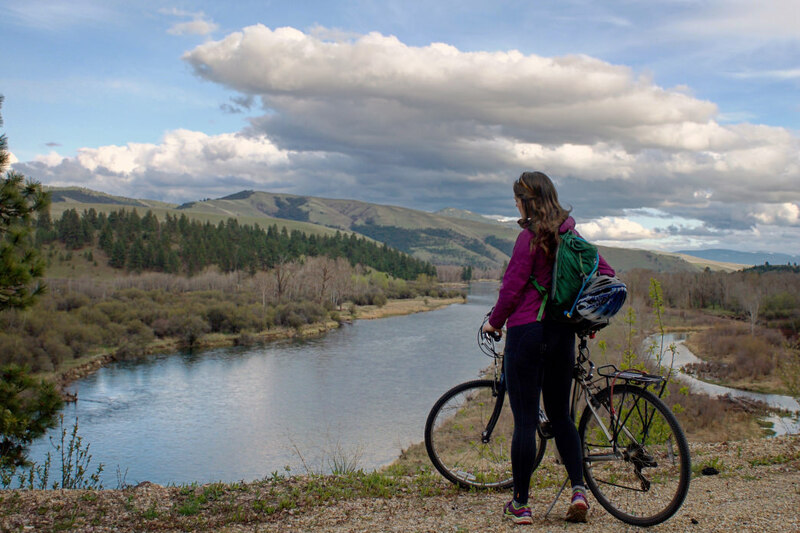 Although cross-country cyclists don’t have to go north to Missoula to stay on the TransAmerica Trail, many would do so because they regard Adventure Cycling’s headquarters as a cycling “mecca.” And, when the cyclists would get there, staffers would often hear about the hazards they faced along the Lolo Grade. 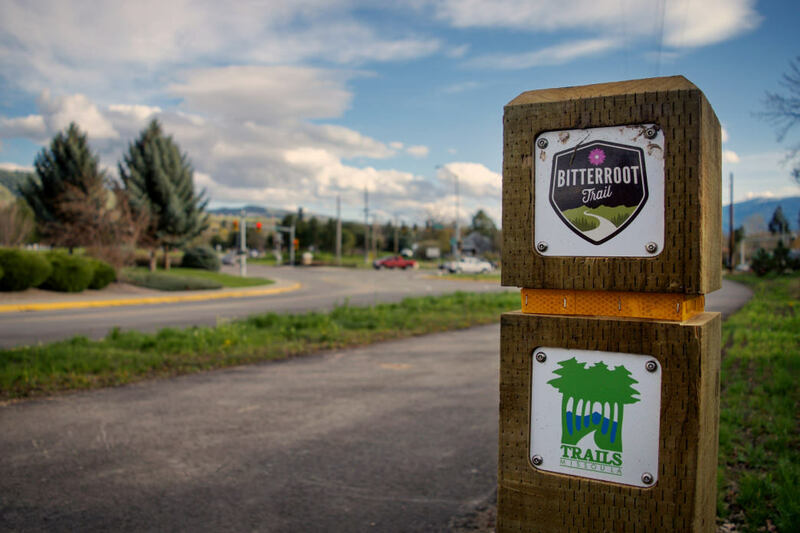 From the city trailhead in Missoula, the trail meanders through town, paralleling railroad tracks, passing a mural painted by high school students, and crossing several streets where drivers regularly stop for wheeled and foot traffic. Soon, the city will finish building a bridge that soars over one of the biggest obstacles, Route 93. Here, on the other side of the bridge, is where the new section of trail starts, built with a grant from the federal Department of Transportation, matching state and local funds, and the endless persistence and patience of community leaders and local officials. One of them, former school principal Jean Belangie-Nye, became an advocate for trails and sidewalks 30 years ago after one of her students was seriously injured in a collision. Here, also, is the first possible detour: Fort Missoula. The open fort was established as a permanent military post in 1877. Over the years, it was used as a home for the 25th Infantry Bicycle Corps, an alien detention center, and a Historical Museum. Although the post has been decommissioned, many of the concrete buildings with red tile roofs built in the early 1900’s remain intact. The trail next crosses the Bitterroot River, sparkling in the sun, and heads south over the Lolo Grade, between the Blue Mountain Recreation Area and the valley. The path sails up and down, offering plenty of outcroppings where travelers can park and take in the amazing views. When the trail reaches flatter ground, it makes a slight detour around a willow tree that’s been there so long, it has its own fan club. When construction was underway, the tree sported signs begging crews to spare it. They did. To the east, bison often graze in the 300-acre ranch belonging to Bitterroot Bison. Lolo is the name of the next town. It’s also the name of a creek, a trail, a mountain pass, and a national forest, and the origins of its name are as murky as Missoula’s. Some say the original Lolo was a fur trapper in the 1800s who was killed by a grizzly and buried in the area. And some say Missoula was derived from a Salish word. Other researchers are dubious. One thing for certain, archaeologists say, is Meriwether Lewis, William Clark, and other members of the Corps of Discovery camped near Lolo in 1805 and 1806 during their search for a Northwest Passage. A latrine at what is now Travelers’ Rest State Park is tainted with mercury—a result, researchers say, of an ingredient in pills the Corps of Discovery pioneers took for constipation and other ills. A paved bike trail along Highway 12 leads to the park. This is also where the new bike trail joins an existing trail, part of the TransAmerica, between Lolo and Angler’s Roost. It continues on through the Bitterroot Valley, named after a flowering plant with an edible root that the area’s original Native American inhabitants, including the Salish, used for food. The trail hugs 93 between the Bitterroot Range to the west and the Sapphire Mountains to the east, offering occasional glimpses of the river and its tributaries, passing through several small towns, and skirting national forest land. The highway hums constantly with traffic, and the trail is so close to it, the noise is inescapable. Hawks circle overhead, looking for their next meal. Ground squirrels defy death by wheel to cross the path. And horses and cows and the occasional deer forage in open fields stretching to the mountains. Stevensville, south of Lolo, touts its status as Montana’s first permanent settlement. It’s about a mile off the highway on a paved bike trail, and it’s worth the trip, if only to see St. Mary’s Mission. The Jesuits who came to the region in the 1840s at the request of the Salish were forced to rebuild the mission several times, and what’s there today is their final iteration. The bold blue-and-red interior attributed to the taste of Father Antonio Ravalli is only open from April through October. Just south of the next town, Victor, the trail crosses to the east side of 93, where the Bitterroots get more rugged, and riders get another look at the Bitterroot. Next up is Hamilton, the seat of Ravalli County and the largest town in the valley. The trail turns into an often rough sidewalk here, and there are lots of entrances to strip malls, which can make biking tricky. But Hamilton’s historic downtown—with its bookstores, coffee shops, restaurants, and curiosity shops—is charming to say the least. Among the must-visit local establishments is the Bitter Root Brewery, where bicyclists are more than welcome. After the trail came through, the brewery installed a bike rack to make sure they were aware of that. The highway narrows and the trail ends south of Hamilton at a local landmark, The Angler’s Roost, which specializes in fly fishing tackle. Cyclists are welcome, too, said clerk Debbie McKinney, adding that they’ve got showers and a campground, “if anyone wants to get a rest.” Reservations are recommended. Many cyclists stop here. Others turn around and head back the way they came. And still others climb up over the Continental Divide at Lost Trail Pass and pedal on to West Yellowstone. The trail might look quite different the next time they come through. 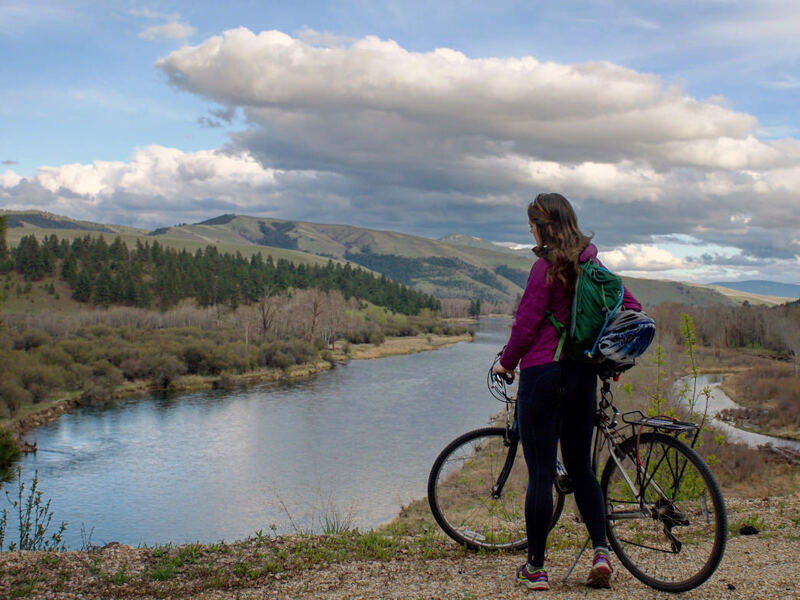 Buoyed by their success in getting the Missoula to Lolo trail built, some local bicycle advocates are setting a new goal: Extend the trail to Darby, about 13 miles south.